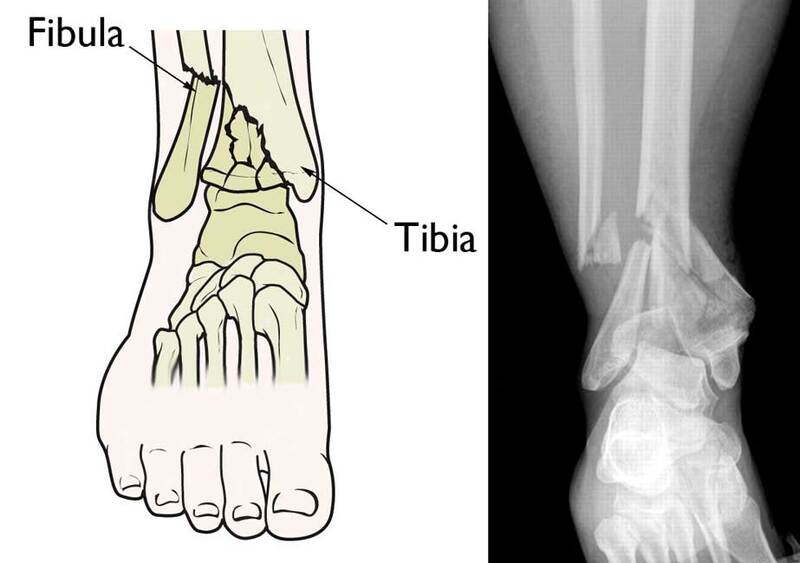 187 fractures per 100,000 people per year, no gender predominance. 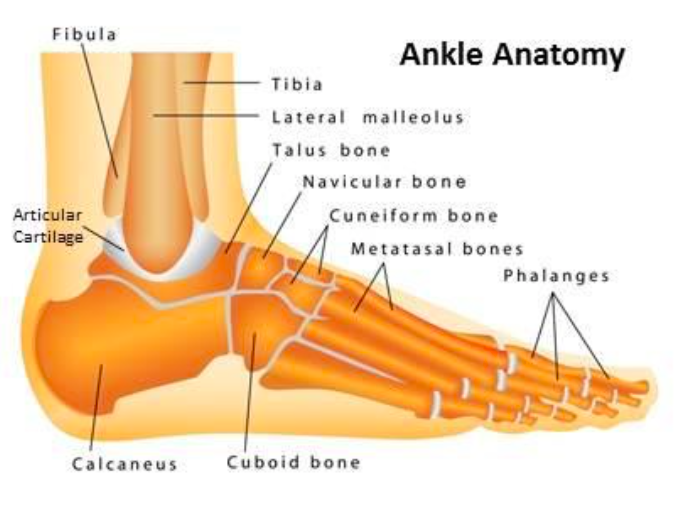 Check for skin abnormalities such as laceration, blistering, or tenting. 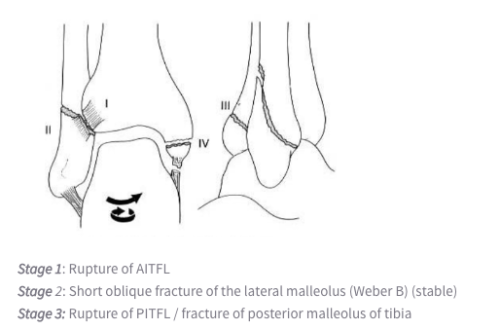 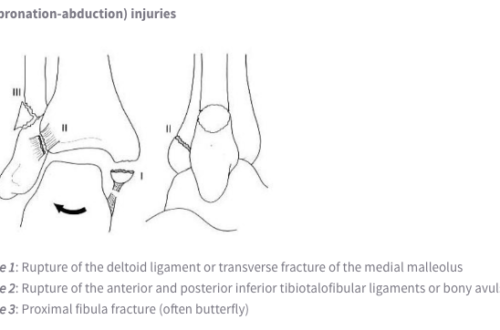 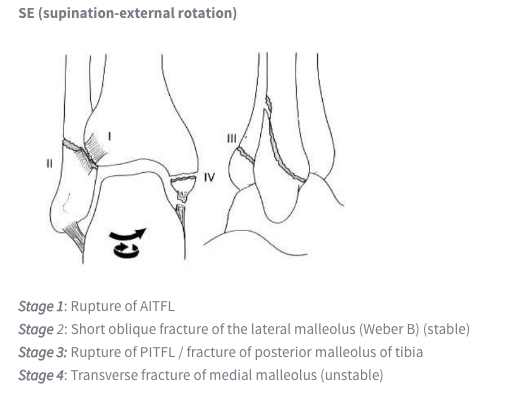 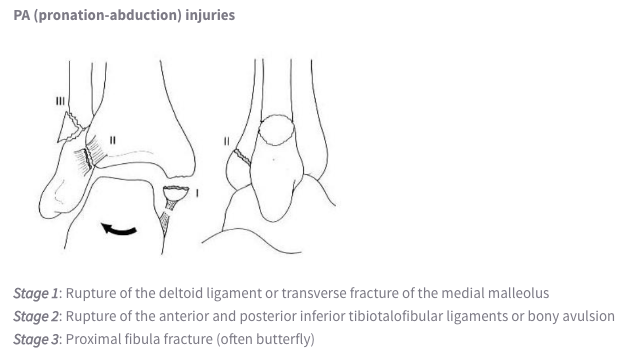 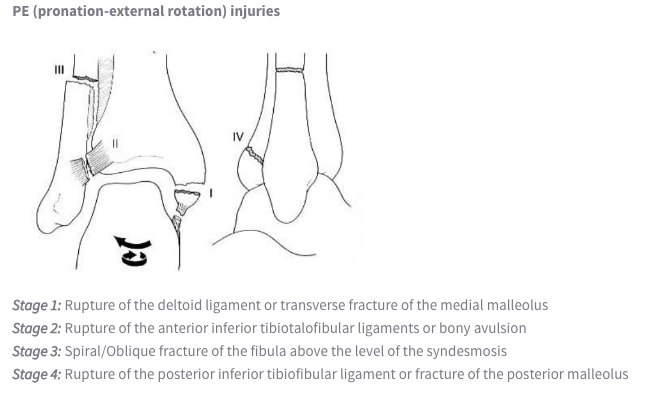 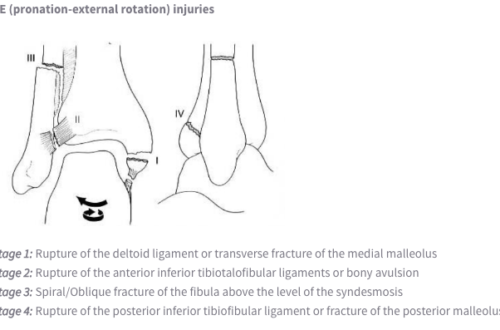 If the patient is discovered to have either a medial malleolus fracture or high fibular fracture on X-ray, tibia-fibula films are indicated to rule out this type of fracture. 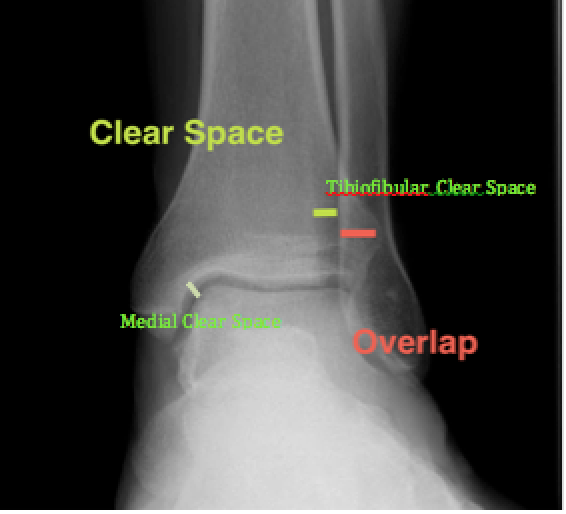 Generally, one can use Danis Weber classification to distinguish non-operative vs operative management. 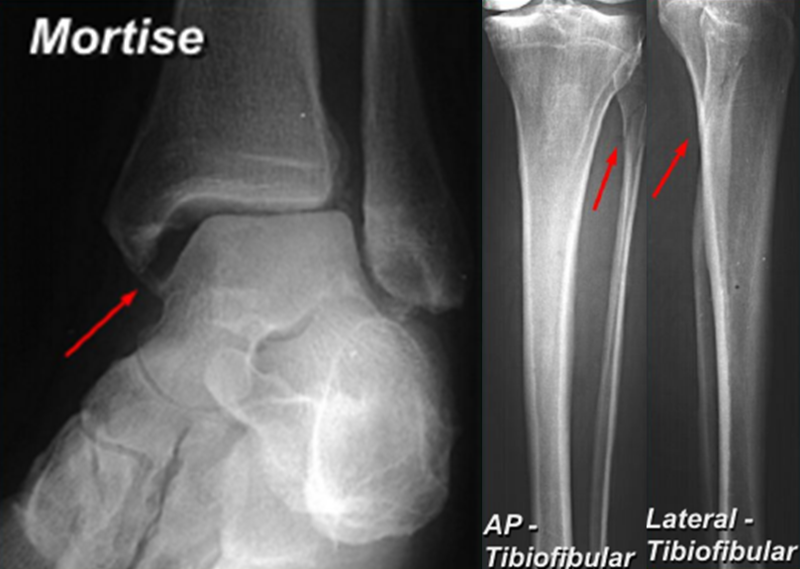 Type A fractures are almost always non operative. 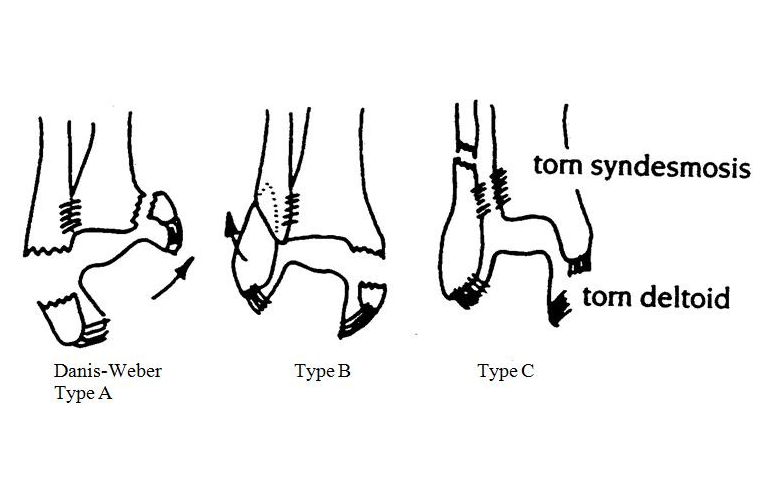 Many Type B fractures require operative management (but not all) and type C fractures tend to all require operative management.